For a technical question, any information regarding your invoice or for a moving request, please feel free to use one of the many useful online forms that you have access here. Our qualified team will be glad to follow up shortly. This section allow you to see your cable modem usage. You must enter your cable modem username that starts with VL. 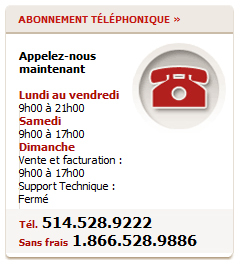 If you don’t have it, please contact our technical support.